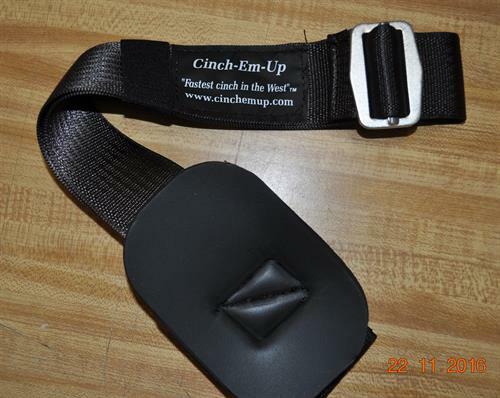 Now you can quickly and easily saddle up and ride and without getting off and on your horse while out on the trails, you can retighten your cinch. Quick attach, rapid detach latigo replacement system for all ages and all degrees of ability. 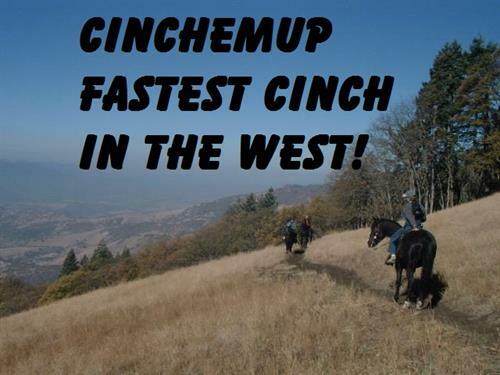 If you can read and or follow directions, you can safely use the Cinchemup. Watch the demonstration video and see how easy it really is and how it can benefit you.! We are currently an online business only but look for us at a show near you. Also see our web page for the nearest dealer.